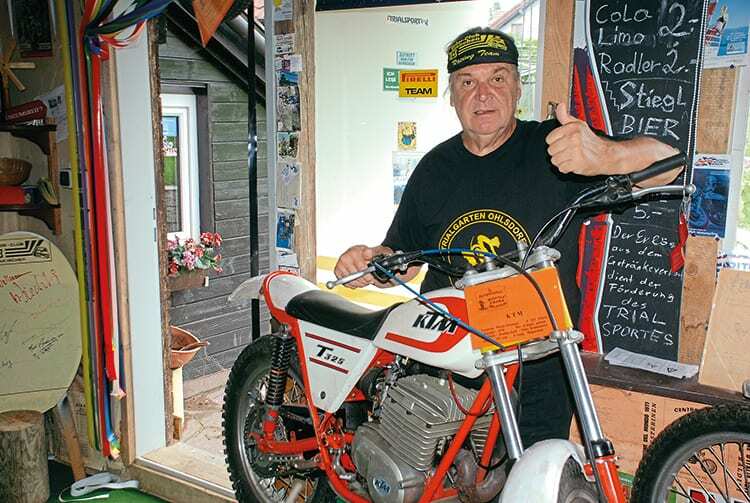 Exciting news from Hartwig Kamarad, director of the Motorrad Trial Museum in Ohlsdorf, Austria, is that one of the four 320 KTM trials bikes built by the factory is now in the museum. Thought lost, it was actually in a barn belonging to a friend of Hartwig’s. Of the four machines, one went to German multi trial champion Felix Krahnstöver, one to Austrian trial ambassador and developer Walther Luft – both riders using the bikes in the Scottish Six Days Trial and the trial World Championship series 1977/8 and the National Championship with KTM. Another was for former Zundapp development engineer Mr Wieditz and one was for KTM boss Mr Trunkenpolz (the ‘T’ in KTM).